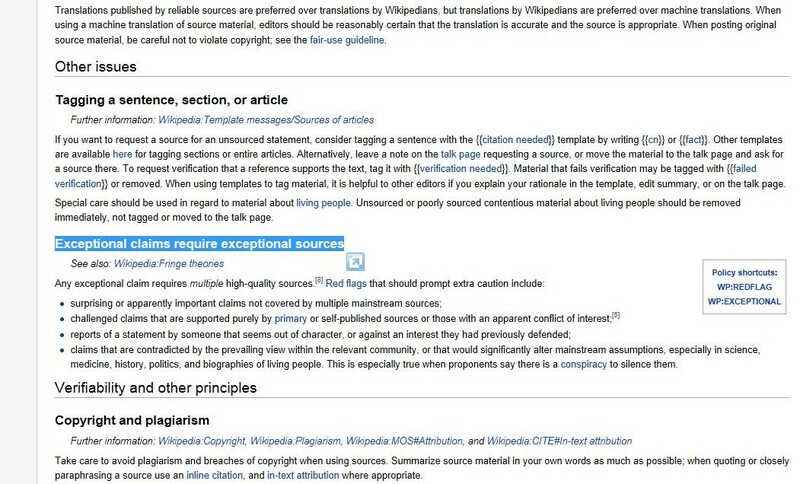 Surprising or apparently important claims not covered by multiple mainstream sources. Just because someone says a claim is extraordinary does not make it so. People often label any theories that are contrary to the governments version of events as 'extraordinary', thus implying that the government and its associated media have a monopoly on what is considered reasonable. But claims can only be considered extraordinary if they have no historical precedent. Therefore, all that is needed to show that a theory can be confirmed (with ordinary scientific processes) is to point out a similar case that has happened before. For this, a simple look at the geopolitical affairs of the 1930s will suffice. 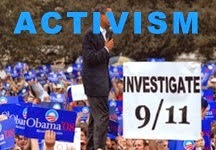 In a period of just 8 years, the world saw 4 separate false flag attacks (!) used by authoritarian regimes to push their agendas: This includes the manchurian incident, the clash of wal wal, operation gleiwitz, and the shelling of mainila. These incidents are not at all disputed by historians (at least, not by historians who live outside of the implicated nations, where the temptation to white wash history is present): No one has difficulty believing that such crimes could be perpetrated by a mere historical artifact, which they have no personal connection to. The same is not true when ones own nation has been accused of authoring a terrorist attack in the present! This opinion piece feeds into the larger mind set that establishment types have, with their belief that history is something which cannot be shaped by conscious intent, via the persistent influence of the fog of war or other such mystical phenomenon. They have a characteristic ambivalence towards the notion that much of modern history has been the result of elaborate policys put into place by powerful oligarchs, something which would upset their fragile egos (and the illusions they have about democracy). These academics condemn all such theorys and hypothesis' with the pejorative label of conspiracism. 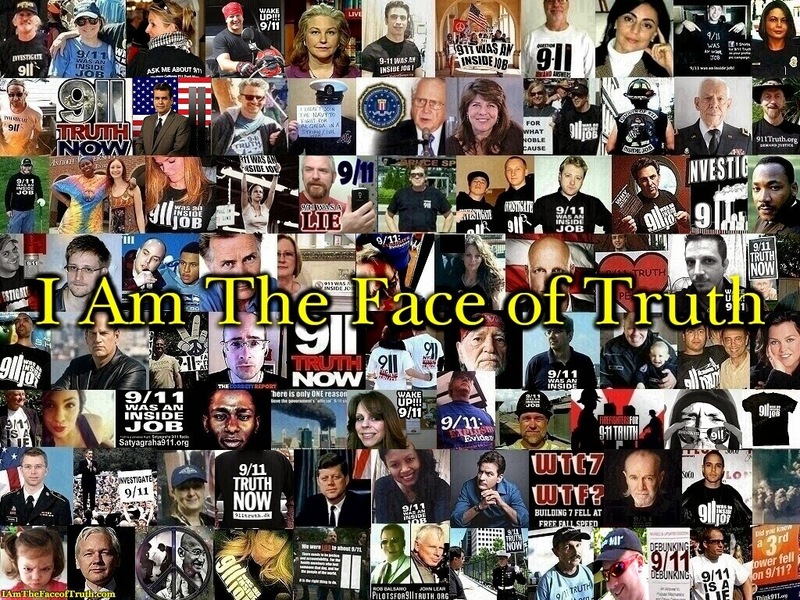 Bruce cumings elaborates on this belief system: "But if conspiracies exist, they rarely move history; they make a difference at the margins from time to time, but with the unforeseen consequences of a logic outside the control of their authors: and this is what is wrong with 'conspiracy theory.' History is moved by the broad forces and large structures of human collectivities." Assertions like these seek to raise doubt about the validity of a collapse initiated by thermitic materials (which work much more silently than explosives) by claiming their ability to degrade steel is very limited. The fact that this notion is false in its entirety didn't seem to stop the 911 debunkers, who seized upon it with a vigour that is rarely seen outside of a funny farm. But explosive experts have known for decades that the thermite reaction IS capable of melting through steel members, especially when its spray of molten iron is harnessed via a directed funnel. 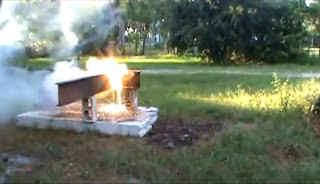 The world was reintroduced to this reality in late 2010, when jonathan cole (a graduate from the university of connecticut) released a video documenting his experiments with thermite. Cole, with a background in civil engineering, had confirmed the nature of the work being carried out at the combustion institute since the 1960s. By using something he called 'a thermitic box cutter', cole was able to slice through a steel I-beam with only 2 lbs of thermite. 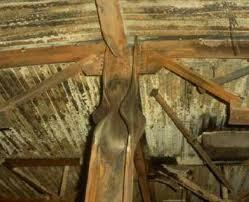 The beam in question appeared to be a W 6 x 16, with a known weight of 16 pounds per linear foot. His results are consistent with the estimates made by NIST, who asserted that 'approximately 0.13 lb of thermite would be needed to heat and melt each pound of steel.' So with a large box column weighing approximately 1500 pounds per linear foot, the amount of thermite required to make the cut may be around 187 lbs. Note, this is surprisingly close to the 153 lbs of tamped TNT needed to sever a large box column. 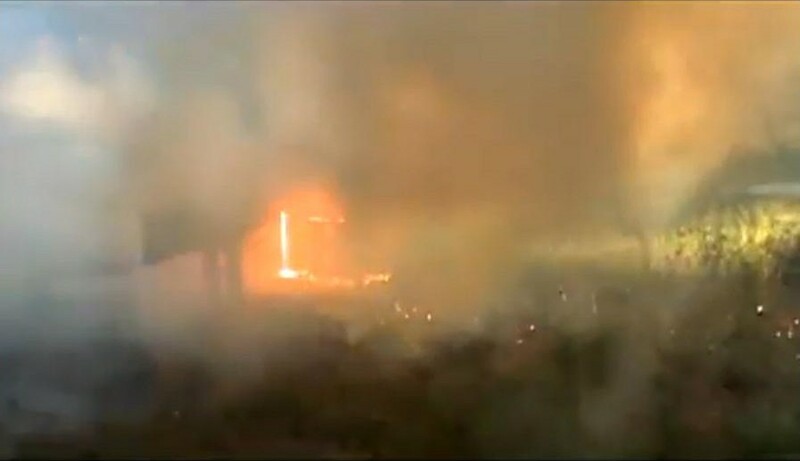 Because the WTCs were going to demolished in front of a live television audience (which entailed huge risks for the perpetrators), their collapse would need to be brought about in a highly unconventional manner, so as to perpetuate the notion that impact + fires were responsible. This entailed removing most of the typical giveaways to a controlled demolition, such as the obvious, sequential explosions, collapse initiated from the bottom, a small rubble footprint, etc. This arrangement would have also had to proceed in total secrecy, with the explosive and pyrotechnic devices installed in a manner that would protect them from aircraft debris and fires (no small feat even for members of the military industrial complex!). Given these requirements, the best way to destroy the twin towers was to use a two stage demolition process. The first stage would involve silently cutting all (or nearly all) of the 16 large and 31 small core columns on the floors impacted by the planes. This is a task to which thermitic box cutters are well suited towards. Arranged in banks of perhaps 10-12 per corner (and 47 per floor) of the building, they could be set off in a precision sequence via radio repeaters safely installed into reinforced crevices. And though thermite burns with a ferocious intensity that is capable of melting any thickness of steel, the noise they emit is entirely insignificant, at least compared to the 18.5 lbs of RDX -part of a 53 lbs shaped charge- that would be needed to sever a large core column. Ignited more than 900 feet above street level, there would have been little sign of the box cutters deadly presence, aside from the pool of molten steel flowing away from WTC 2 before its collapse (which may have been the result of a premature ignition from a thermite bank). With the core columns cut on multiple levels, the impact floors were suddenly robbed of their structural integrity, and would effectively cave in on themselves, setting the upper section of the towers into motion against everything beneath it. idea of how incredibly violent this event was. The second stage would ensue shortly after the first, taking advantage of a collapse that converted a tremendous amount of gravitational energy into kinetic energy, resulting in an extremely destructive interaction that pulverised concrete and crumpled steel members. 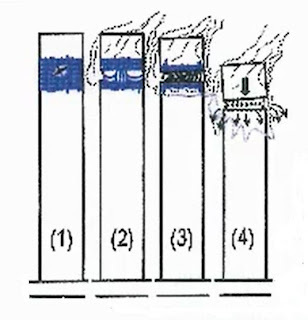 Left to its own devices, however, this piledriver effect would (probably) not be able to produce a global collapse: Everything above the 92nd floor of WTC 1 -and the 77th floor of WTC 2- would cease to exist, and many, many floors beneath them would be gutted by falling debris. But the lower foundations would remain fully intact, as would the core and perimeter columns all the way up to the impact site. The buildings would be preserved by immense networks of interconnected steel beams and columns. 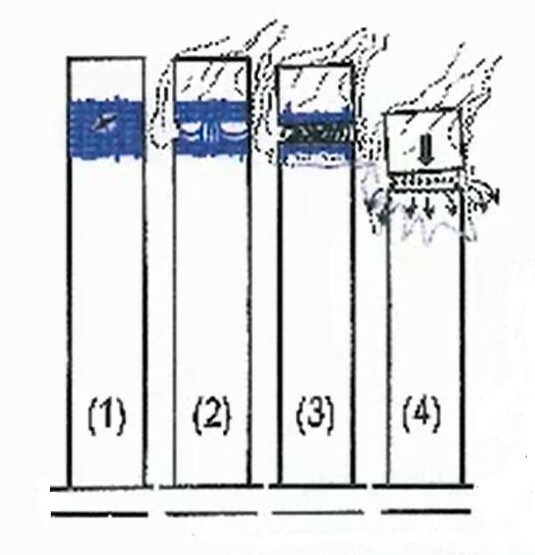 Thus, in order to guarantee a total collapse, these resistance points needed to be broken with explosive charges. Under the cover provided by the noise and dust of the gravity collapse, the second stage of demolition could proceed unnoticed to anyone more than a block away from the site. With just a handful of explosive charges placed on all the floors beneath the impact site (probably hidden inside elevator shafts), the twin towers last structural redoubts would be methodically smashed from the top down. How would they be able to plant enough thermite to perfectly raze these three mammoth buildings, without anyone taking notice beforehand? The best way to proceed with such an operation is to conceal all suspicious equipment inside ordinary tool boxes, and to only bring them out when working in confined spaces (or in areas that have been closed off by security, to enable the crew to work in privacy). A single explosive charge should be attached to each column juncture, then covered beneath a solid protective casing. Assuming that this mount could be emplaced with just 2 man hours of labour, then rigging the four column junctures that typically reside on each floor would take a minimum of 8 man hours. If this was done all the way from the impact floors to street level, then that amounts to 368 charges for WTC 1 and 308 charges for WTC 2 (and 1352 man hours to install them in both towers). 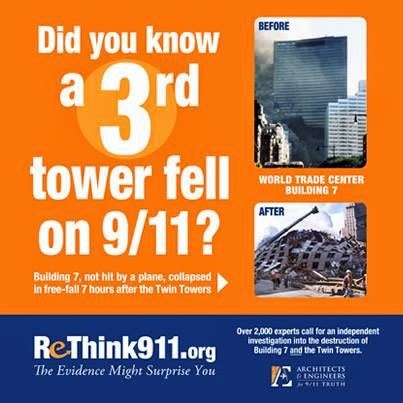 Therefore, even with a quadrupling of the required man hours -which is reasonable, given that most of a demolition crews time is spent with the actual wiring- this suggests that only 5400 man hours total are required to prepare the twin towers for destruction! Theoretically, eight individuals working 40 hour weeks could have the job completed in just over four months. That is correct. If anything, there may have been well in excess of a hundred people who knew sensitive details about the September 11th attacks, weeks or months before they actually took place. At a lower level, such as the feds 2000-2001 monitoring of terrorist activity, some CIA and FBI agents actually did catch wind of the plot, and tried to warn their superiors. The story of susan lindauer is one example among many. Debunkers may argue that this is only a niche example which doesn't invalidate their wider point. Again, they are correct. 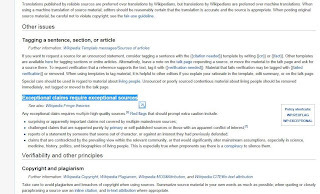 The evidence pointing towards MIHOP is generally more circumstantial than that which exists for LIHOP. 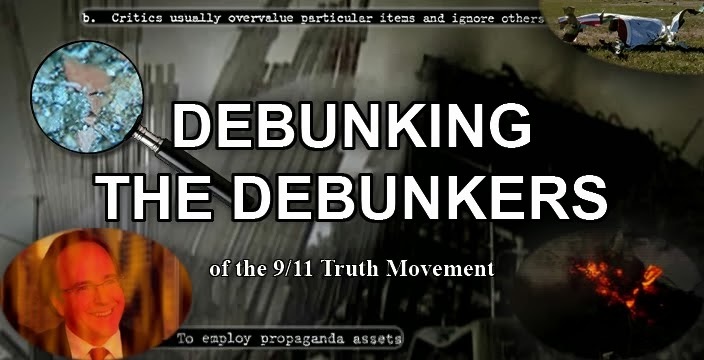 No one has come forward to release information that directly expresses truly incriminating activitys in the months proceeding the 911 attacks (I.E, no rigging of the WTCs with bombs, no modifications of jumbo jets for remote control, etc). That is not entirely surprising. New counter-intelligence techniques devised in the 1960s have given the CIA and other agencys a strong ability to suppress whistle blowers, via trauma based operant conditioning. As soon as a potential leaker is identified, they will be subjected to extensive background checks, and placed under very intrusive surveillance in order to gain personal information from them. Many technologys are available to spying agencys nowadays, including laser microphones, phone tapping, computer bugging, etc. All sources of communication are surveyed constantly by the highest technology available and a great deal of the results are recorded, auto-transcribed and processed by computer to show statistical associations (some of which goes to a live ear if close spying is underway). Once enough information has been assembled to create a 'criminal profile', the director in charge will make a decision as to the best approach needed to gain the whistle blowers compliance. This sometimes involves black-mail and bribery. More often, however, a campaign of terror is waged against the individual, where they are subjected to constant and unrelenting harassment, raising their stress level to an intolerable level that not only destroys their sense of security, but interferes with normal sleep and work related activities. Through weeks of gang stalking, the whistle blowers daily routine will be irreparably damaged, and their sanity will be stretched to the breaking point. Sometimes, the aim of this harassment campaign is to get the individual to release their information in a partial or disorderly manner, where it can be picked apart and discredited by cointelpro assets. Mostly, however, they are given a chance to end the torment by accepting a list of conditions which they must abide by, on the threat of instantaneous retaliation (in proportion to the severity of their infraction) if they do not. How is it that a government which couldn't even plant WMDs in iraq could stage something as massively complex as a false flag attack on the WTCs and pentagon? Determining the 'competence' of an organisation is easy. Simply look at the deeds the US has carried out in the last decade. Notice the difference between what they say, and what they actually do. When an institute persists in taking a course of action which does not fulfil its ostensible goals, we might reasonably posit that they show signs of incompetence, and an inability to self evaluate. However, when they do not stop pursuing that agenda even at massive losses to themselves, the question of incompetence is brushed aside by concerns about their state of mind. One possible answer is raised by albert einstein: "Insanity is doing the same thing over and over again, and expecting different results." The other answer, however, is more sinister. As said by stefan molyneux: "If an organization seems to be continually failing to achieve its stated mission – but refuses to alter its actions – then clearly it is simply achieving another, unstated mission." With this one single insight, all of the odditys associated with the global war on terror (as well as the war on drugs, poverty, etc) can be reconciled. For every official proclamation a government agency may make regarding some ambitious new campaign, there will almost invariably be an unofficial motive that is not being disclosed to the public. Even the president himself was not above participating in this transparent agenda, using his rank to pressure dissenters into submission. In summary, the key to explaining the iraq episode is the fact that people are much more willing to believe in an incompetent government, rather than one which is deliberately malevolent. But once you accept the premise that the bush administration is a highly effective, morally corrupt association, and that their actual goals in any endeavour are never what they publicly claim, it becomes clear that 'incompetence' is nothing more than a comforting charade which is used to cloak evil policys in. The men in office are able to get a surprising amount of mileage out of this little trick, since american citizens have a very high tolerance for political failure, although not with silly hot topic issues pertaining to sexual orientation, gender, religion, or race. Incompetence also lends itself to perpetuating the left-right slave paradigm, particularly when opposition partys gain browny points by pointing out the obvious, and saying how much better things would be if the current president was kicked out of office (to be swiftly replaced by their own candidate, of course...).